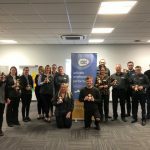 Award winning corporate health and wellbeing provider Let‘s Get Healthy has designed and delivered a campaign called ‘Be Your Best Self’ with longstanding client, online gaming provider William Hill. The bespoke campaign included interactive, high-paced, three-hour workshops for senior leaders and a series of ‘pop-up’ events at three of its locations in Leeds, London and Gibraltar. The sessions were jam packed with the latest evidence-based techniques to help improve rest and recovery, how to control emotions when under pressure and stay physically and mentally energised. Following the workshops and to embed the learning, leaders will then cascade their own 30-minute modules through animated videos and training guides in their own team meetings. To support all other colleagues in the business, a series of pop-up events were also delivered at the same time to allow 15 minutes access to a Let’s Get Healthy physiologist. Topics covered included checking biometrics such as blood pressure to advice on resilience, energy and sleep. 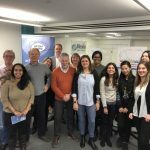 William Hill appointed Let’s Get Healthy who kicked off the engagement with an insight session to listen to and identify the various challenges faced by the international, fast-paced business. The campaign supports a holistic approach offered by William Hill including a traditional EAP system, along with access for all employees to the Unmind App which provides a range of everyday mindfulness, breathing, and stretching exercises as well as clinically-backed programmes for improving their mind, and access to critical care providers for immediate support. Let’s Get Healthy was recently named Gold Winner at the 2018 Employee Experience Awards in the category of Health & Wellbeing. The Leeds-based company boasts diverse sector experience, and currently operates as corporate wellbeing providers to the likes of Co-op, G’s Fresh, Travis Perkins and Northern.